There won't be a vote on the fate of Obamacare on Friday. CNN reported that President Trump has asked House Speaker Paul Ryan to pull the bill. The stock market rallied off its lows of the day following the news. Several health care stocks even turned higher. But make no mistake. Even though lawmakers failed in their bid to repeal the Affordable Care Act, the future of the seven-year-old health care law remains troubled. Many insurers have struggled on the exchanges because enrollees have been sicker and costlier than expected. This prompted many major carriers -- and several smaller ones -- to pull back their participation on the state exchanges in 2017. Many of those that remained hiked premiums to ensure they could cover their policyholders' medical bills. The government is taking steps to shore up the market so millions don't lose coverage as GOP lawmakers look to overhaul the nation's health care system. Still, despite Republican claims that the market is collapsing, the Congressional Budget Office has said the individual market would "probably be stable" if the Republican bill is enacted or not. And S&P said in late December that huge price hikes for 2017 were a "one-time pricing correction." The nation's largest public insurers, however, have concerns. Humana (HUM) said last month it would exit all of the ACA exchanges in 2018, regardless of what happens in Congress. The CEO of Aetna (AET) said at a Wall Street Journal forum last month that Obamacare was in a "death spiral." Aetna and Humana had planned to merge but the two pulled the plug earlier this year after a federal judge blocked it due to antitrust concerns. Cigna (CI) said in November -- just days before the election -- that it was not planning to expand its ACA business this year. Anthem (ANTM), which had hoped to merge with Cigna before that deal was also shot down in court, said last month it too was unsure of whether it would participate in the ACA exchanges in 2018. 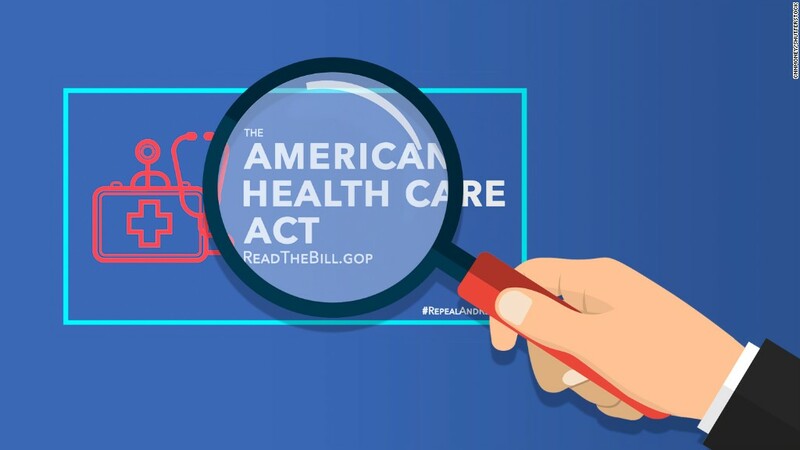 Its CEO, Joseph Swedish, recently wrote a letter to two Republican House committee leaders in which he expressed support for parts of the American Health Care Act, the GOP bill that some have dubbed Trumpcare. And UnitedHealth (UNH) said last April, back when Hillary Clinton was still leading Donald Trump in many presidential polls, that it was planning to get out of most ACA insurance exchanges by this year. It has lost more than $1 billion on the exchanges. Two smaller insurers, Molina (MOH) and Centene (CNC), stand to lose (or gain) the most from a future with Obamacare. Those two companies have actually done well under the ACA, thanks to their focus on Medicaid -- the government program that expanded under the ACA. Molina, however, recently warned that it wanted to see major changes to Obamacare's risk programs. Because of its success on the market, it has had to pay its rivals, That has hurt its own financial performance.